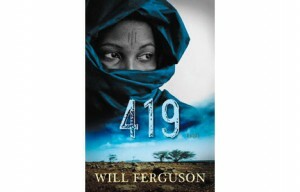 I didn’t know what 419 means – or that internet scams coming from the streets and backwaters of Nigeria may have a name, until I’ve read Will Ferguson’s 419. The author takes his readers from a car accident in Calgary all the way into the bizarre criminal gangland of Nigeria’s 419 Internet scams (named for the section of the Nigerian criminal code dealing with obtaining funds illegally). I was surprised by the novel’s unreserved gravity, rhetorical questions, and by the way Laura, a Canadian copy editor, takes action and tracks down the men who ruined her father. An amazing read, truly recommended.